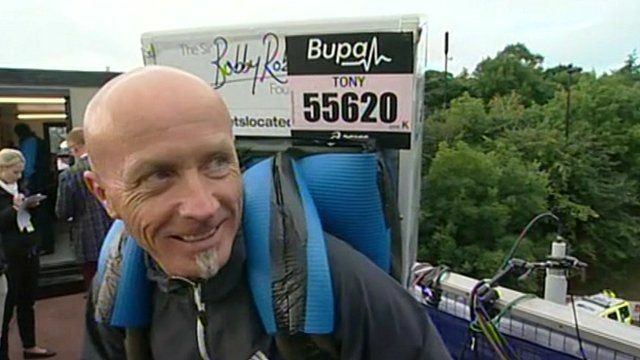 Among the more than 54,000 people taking part in Sunday's Great North Run is a man with a 40kg fridge strapped to his back. Tony "The Fridge" Phoenix-Morrison has run the 13.1-mile route each of the past 29 days and following today's run he plans one final session on Monday without the fridge. Also taking part are Ivan and Nadine Hollingsworth, who are raising funds for the Freeman Hospital's Children's Heart Unit following their son's treatment there.